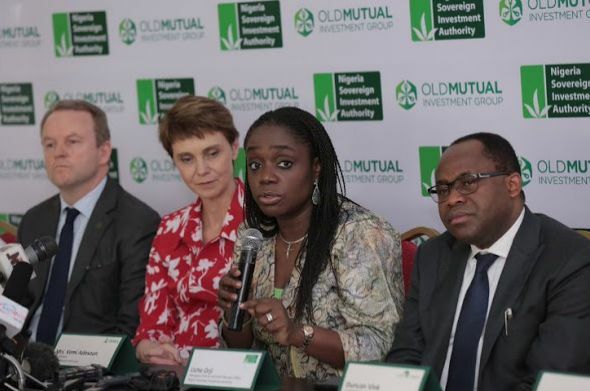 Minister of Finance, Mrs. Kemi Adeosun is pictured at the agreement-signing ceremony for NSIA-Old Mutual Inv. Group $500million Real Estate & $200m Agriculture vehicles. The Real Estate vehicle aims to invest $500m in commercial & retail assets, with initial commitments of up to $100m each from NSIA & Old Mutual. With time things will get better.